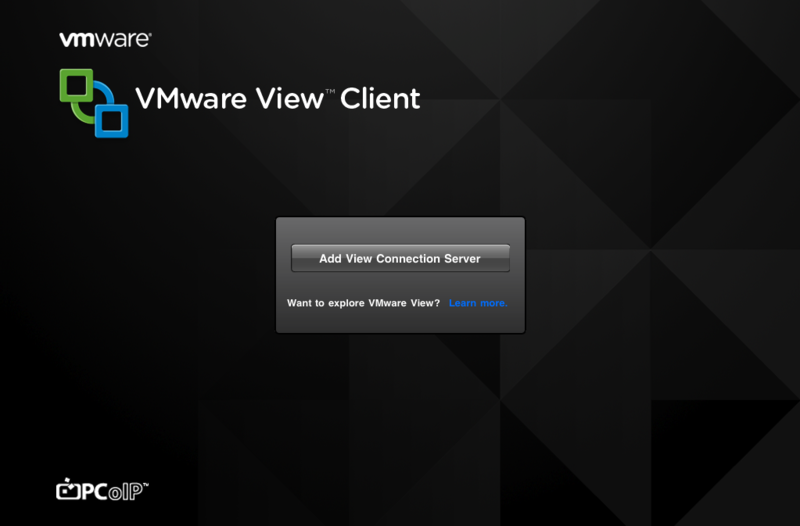 Just moments ago, VMware announced the View Client for the iPad. While a bit behind the ball, and a lot later than I thought it’d be after the demo at VMworlds 2010, VMware has finally gotten in the game with Citrix to compete on the tablet market. The iPad client is fully support on both WiFi and 3G and of course, utilizes the PCoIP protocol. Support also extends to bluetooth and dock connected keyboards, as well as support for the iPad VGA Adapter. This realistically makes it possible to go iPad full-time in an environment with a stable View setup. And for when you are away from your dock and on the go, VMware has included custom gestures to interact, including gestures for click, select, drag, and pulling up the soft keyboard. Last week VMware released the latest iteration of View, 4.6. With 4.6 is a minor release, but comes with one major update. The big one is the inclusion of the new View Security Server. What the security server does it allows for VPN-less access to your virtual desktop inside your corporate environment. Now I know a lot of security guys are going to read that and choke on their muffins, but lets take a closer look. VPNs mostly employ technology that leverages a TCP protocol. PCoIP is a UDP protocol. So before, the PCoIP packets would have to have over-head created to wrap the UDP packets inside a TCP packet. Not only that, TCP is a ‘reliable’ protocol, so that means you create more network overhead with the acknowledgements and retransmissions that come with TCP, but are unneeded with PCoIP. What the View Security Server does is act as a PCoIP proxy. Users connect to a View Security Server in the DMZ, and the server authenticates the user, and then allows them specific access into the internal network only for their Virtual Desktop. So in theory, the View Security Server does what any good DMZ server does; allowing a very small scope of traffic to a limited internal resource. Keep in mind, the View Security Server does not use SSL, or isn’t an SSL-VPN solution. PCoIP does already use 128bit AES encryption, so that covers any encryption requirements there. You can also install an SSL cert for the FQDN authentication to prevent any man-in-the-middle attacks. There will be a requirement to punch a hole for port 4172 on both TCP and UDP on your firewall. I think the idea behind View Security server is a great one, however, I think the firewall requirements and lack of additional encryption are going to cause a lot of push back from companies’ Information Security departments, and for good reason. Suprisingly, this release doesn’t include any sort of Profile Management. I guess VMware’s focus here was on the View Security Server with this release. Release Notes for VMware View 4.6 can be found HERE. One of VMware’s multiple announcements at VMworld is related to virtualization on the iPad, which is something near and dear to me. VMware is in mid-development of a View client for the iPad. Currently, the only option for accessing your View Virtual Desktopvia the iPad was to use the Wyse client and pay heavily for it. Features include PCoIP (a first for the iPad), specific geastures for the iPad environment, system monitor, as well as some unnamed features Im sure. So far, no release date has been announced but I will certainly be following this as I am a power iPad user. More information and a sneak peek, check out VMworlds TV coverage HERE.